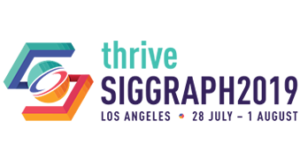 An overview of best practices in citing SIGGRAPH publications. The proceedings of our annual conference has been published in several different ways over the years; first as an issue of our own organization's official publication, then as its own "conference series", and now as a special issue of the ACM Transactions on Graphics journal. Correspondingly, the format of the citation has also changed. Articles published prior to 1993 were published in the "Computer Graphics" publication, which has a volume and page numbers. Drebin, R. A. and Carpenter, L. and Hanrahan, P. 1998. Volume Rendering. In Computer Graphics, vol. 22, 65–74. In 1993, the organization published the conference proceedings in its own "annual conference series", no volume or number were assigned, though articles did still have page numbers. Baraff, D. and Witkin, A. 1998. Large Steps in Cloth Simulation. In Proceedings of SIGGRAPH 98, Annual Conference Series, 43–54. Starting in 2002, papers presented at our annual conferences are published in a special issue of the ACM Transactions on Graphics journal, and citations to articles so published should be formatted as journal articles, and not conference proceedings papers. Wang, H., O'Brien, J. F., and Ramamoorthi, R. 2011. Data-Driven Elastic Models for Cloth: Modeling and Measurement. ACM Trans. Graph. 30, 4, (July), 71:1–71:11.